For ex: Drugs like cymbalta and Lyrica can have large side effects, over the counter pain relievers don’t work for severe pain, and the alternative treatments like massage and acupuncture are not always covered by insurance. It’s no shock people are experimenting with different things – and after just settling for something to just take the edge off their pain. That brings us to the gravity of CBD Oil, a product that is made from the plant Cannabis, as you see in the image below. Unlike the other cannaboids that you find in THC, you will not get that in CBDs. Thank god! Because if it had, it would of had me in a series of chopped up crumbles. This new remedy is grabbing the “bull by its horns” and is taking the medical world by storm, so much so we keep digging our heads into hoping to better understand. Not many of us are educated on it, and so we’re left with a list of questions. What is this oil and why do I need it? How does it work for back pain? Will CBD help my back pain? Does CBD Oil have any side effects. You can scratch a couple of those questions off your mental list, as I had covered them right above, but as for the rest, you’re about to find out today! In this page I will not only cover these topics I listed right above, but I will also uncover the largest question: is CBD Oil for back pain? After this is done, hopefully you’ll have a calm piece of mind. How Does CBD Oil Work For All Back Pains? How Can You Use CBD Oil Specifically For Back Pain? Will CBD Oils Give You Side Effects? What Else Can You Use CBD Oil For? Do You Actively Want To Help In Making Us Grow While Helping Yourself As Well? >>Go here to Learn More About HB Naturals. Like drinking water is to a filter, Oil is to a CBD. Understanding a CBD is how to begin. … you see the point, its everywhere there’s a market for. 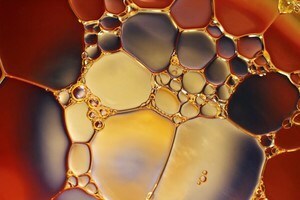 You’ll hear me talking about the later in the article, but for now let’s get to know the oil. Extraction point: During the extraction process, the cannaboids is followed by the trichomes, terpenes, and flavanoids compounds, and they are stripped from the same plant and are concentrated to an oil liquid, hence the name. I will be covering these methods more in my chemistry sequence guide(coming soon), if you wish to have a look thereafter. Whichever way your CBD Oil is extracted, its important you understand how it will work for your own back pain. 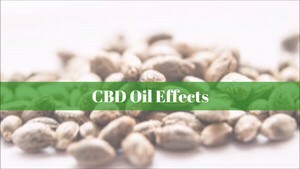 And if you’d like a better look at how well the process works, you can head on over to our cbd in hemp oil article here. I’ve been waiting to get this point across for the last 5 minutes…Take a look at the last bullet point above, and I want you to ask yourself if you are on opioids right this moment in your life. I’m not here to judge(I’ve been in your place a couple years back), but I am here to tell you that it doesn’t need to go on any further my friend. Chronically speaking, opioids have become the first line of defense or “go to” drug for an overhwlemingly amount of years. And it’s at this treatment that puts you at the end of the line, like waiting for an organ transplant but you have a sense of what your chances are(slim). Alternative and NATRUAL medicine is living in our planet, and inhabiting our plant species, and you can thank evolutionary science for that. The point I’m trying toget across to YOU is that it’s going to be OK. You will get better, and I will ensure you can get to the front of the line, get your better start, and begin to do the things in your life the right ways. When it’s time to transition. As far as the rest of the details like who’s it for, and what will be covered can be found in my opioid aritcle at the bottom of the page. You can click here to learn more about opioids and the fight against them. As for anyone who has had a slipped disc, sciatica, spinal stenosis, and agitating aches and chronic pains, let me to tell you, persistant pains are the most dificult symptoms to work with. Hypothetically speaking here, if you were to take your required dose of CBD oil, it will release neural transmitters in all areas of pain in your body and mind. It also stops one important aspect at the core of all your pain, can you guess what it is? Should I eat it as an edible? Should I apply it to my skin? how targeted you want your relief to be. It’s likely you’re already taking OTC Prescription pills, like ibuprofen for one. You might get enough to give you short and strong relief but it’s not equally close to as if you were rubbing it to your skin, and massaging it. I didn’t forget about the edible. If Let’s say you ate a piece of a “500 mg” brownie, and it was strong enough to relive some pain, it would act the same as if you took a pill of ibuprofen. The most definitive 100% guarantee is “NO”. But how is that so? Remember when I Said THC and CBD are extracted from the same plant? Well, when you take CBDs, there is only the smallest fraction of THC in it, not enough to give you a “high” feeling. In other words, the CBD molecules are maximized, will the THC molecule is minimized. There will be no psychedelic effect on your ship. I’ve come across many types and flavors of CBD’s the past 2 years, and while I can’t say I’m an expert, I do have plenty of experience in this limited amount of time. My best advice is to check the label to make sure its safe, and that its intended to treat medical purposes. In all that I’ve come across you get less than 1% of THC. Take a look at point one, because that’s what I’m about to cover. Way #1: What’s under the tongue? The most common method is to apply a few drops under your tongue, and let it get absorbed through and into your bloodstream. This will be the Simplest form of getting the job done, and with minimal to no help from anyone else. The CBD oil comes with a dropper bottle, and all you would need is a second of your time to place the drops under your tongue. Way #2: Do you enjoy a nice massage? If you said yes, then you’ll be in fathom with using topical creams. The second most common way to use CBD Oil for your lower back pain is to rub it directly on your sore spots to get those kinkering muscle knots and soreness out. Don’t be afraid to go at it alone, but if you need assistance for reaching and massaging certain parts of your lower back, give it a go. Way #3: YUMM or None? The ingredients used make it strong enough and at the same time tasteful, if this is a path you’re willing to take. Turn on your stove, fire up the skillet and cook it. It’s hassle free, because CBD works like olive oil, vegetable oil, or coconut oil – in the fact that you can replace these oils with CBD Oil. Vape, does that word ring a bell? I’m sure whether you’re in your 10s, 20s, 30s, 40, 50 and so forth, you’ve probablly heard your nieces and nephews sprining this word into action. Well its true, you can smoke your cbo oil through what’s known as a vaporizer pen and e-liquid oils. Ex: If you’re taking a blood pressure medication, and using CBD oils for your lower back pain, it will cause the blood pressure to thin, and lose its effectiveness. Did you notice how some of these underlining treatments are symptoms of using opioids and narcotics? With CBD’s that fixes it all. You don’t need full coveragr prescriptions! 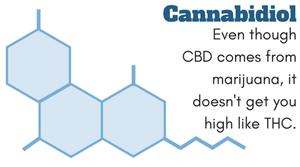 Yes, you read that right, CBD doesn’t need a precription…at least 75% of the time. Synthetic oil: This is a mimic of natrual cbd but it doesn’t give you a therepetuic feel. What happens is that the synthetic compunds bond to your Endocannaboid receptors. This type is not suitable for anyone, and even though it is not regulated, it can cause severe adverse reactions that can go as fas as cause fatal cases. They are purchased through vape shops or at your local gas station, but its better to stay clear from. Cannabis derived CBD Oil: So this one is exactly what it sounds like, it’s cbd oil derived from the cannabis plant, which also happens to be hemps pshycoactive family member. You may need a prescription, depending on the laws of each U.S State, and outside country regulations as well. Hemp oil: We’ve come to the cream of the top, this is where the CBD oil you hear about, see in stores, on the web from different companies, all comes from. This os the one I’ve been introducing to you in this article, and the one that doesn’t need a prescriptin for use. By this point, you think I’d say no?… Of course not. Quite simply, you need to give it a try! If you’re worrying about popping pills, and taking medicines that the Pharmaceutical industry is turning on themselves, then I highly advise for it. Whatever method of digesting CBD’s, I suggest you begin slowly, and take a smaller amount first. See how you feel, and increase it by a few milligrams at a time over the course of the next couple of days. The FDA has not created a rcommend daily dose intake for CBD oil, which means there is no official serving size. And because of this, consumers are likely going in blind folded, and trusting their dosages based on reccomendations from cmompanies they will buy their cbd from. To make matters worse, people get caught up with their friends and family telling that they are “experts” and that an X amount should be taken, becuase it worked for them. If it’s trial and error you’re worried about, or if you take more than needed, don’t you worry, you will be just fine. If I had 25mg-35mg, that would be an excpetional starting dosage quantity for someone who ways about 205 pounds. And for someone with 150lb’s, it would be great to use about 16mg-25mg. The rule is to always start small. If you have to go less than 10mg and take a couple of the same doses in one sitting to find out that it has no effects, that’s alright because you’ll know what to do after. So, always determine you starting dosage based on your weight, and if you don’t feel a thing, increase slightly a couple dosages at a time. Your physican is an option choice. You can check with them if you have an on going medical condition and you just want to make sure you will be fine. However, there are not many doctors who know CBD far too well(at least like me), but have a pretty good idea about how your body will react. Degenerative Disc. A higher dosage of cbd oil will 9 times out of 10 work better than lets say being under the mark, which causes you to repedetively take more oil than 3 to 4 times in a day. My routine is that I take the smallest amount possible to achieve the most relief, because I’m at a point now where I don’t need a high dose, and that’s mainly because I’ve been taking care of myself day by day. If you’re still have your reservations with what cbd oil and its origins, why not check out my full coverage article on what cbd oil has to do with hemp right here. What if you’re not a begginer and want to see what is out there? Plus, I show you different variations of consuming it! You can flip on over to our best cbd companies and oils article by clicking here. we’re experienced lower back issues, but more importantly our guards are up about using a holistic remedy like CBDs to treat our lower back pain. But theres a lot of truth behind the misty fog. You wouldn’t want to fijd yourself in the middle of a storm and pray that you find shelter and protection. Our strength and toughness reveals its true colors when we are up against the odds, and it takes a storm to help us overcome our fear of the unknown…both on the other side is a gateway to ending the use of everyday painkillers. The momentum has shifted. I’ve shown you how pain can be controlled and healed, not “numbed.” Ive covered what a CBD oil is, along with all the molecules and compounds that make it so potent and neuropathic. It took me time to believe that it could help me, but you don’t know until you try it for yourself. Click here to find out more about the best cbd oils today. Other than helping get the word out by our articles, and my own experience, we’ve partnered up with HB Naturals to help spread the love. If you’d like to learn more about not just purchasing a CBD related product, but to become part of an awesome and upcoming community in CBD Oil, check them out. I’ll leave you a link below, where I help them out from time to time when I’m not busy with my own projects. HB Naturals is going to blow up in 2019, and I think you’d like to help spread the message like I am, and many other fellow health conscious people are too. Hi thank you for this informative post. I have been looking up the benifits of CBS’s for some time now as I had a few friends with cancer and the effect it can have in them is unbeliveable. Unfortunatly I still believe that Thc is still illegal here in the uk which is a shame because cbd oils are a miracle healthy alternative to pharmaceutical drugs which are made from god knows what. I am going to book mark your post as I suffer from bad backs as I do a manual job and I have found this post very helpful. I’m glad to hear that you’ve done your research. When it comes to cancer it can do really great things. I know a couple close people on my end and it happens to have a great effect on them too. I’m sad to hear its illegal in the UK, I learned about that sometime back. There really is no way to isolate the THC from the CBD molecules. CBDs have been very popular for sometime now and are becoming more widely used to ease pain, and replace the use of drugs. I appreciate that! If you happen to visit the states, don’t forget to try and grab yourself some cbd oil. Thank you. Very informative post. I have been testing out CBD oil lately for my epilepsy. I can’t say for sure whether or not it is working, but I’m not having seizures and that is wonderful! If you’re using CBD oil for epiepsy than you are on the right track. They do help prevent seizures because the of the activation of the CB1 receptors – found in your memory centers of the brain, and also within the nervous system. I’m glad to hear you’re doing better! Nothing better than seeing someone progress and do the things they want to do. Thank you for sharing. Thank you for your informative post. 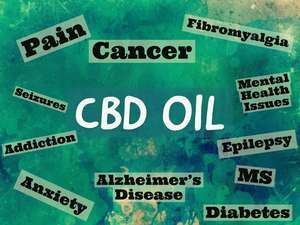 I have been curious about CBD oil and working in health care much stigma is placed on CBD oil. I have not found any terrible stories or research suggesting that CBD oil causes impaired actions however, such as when someone smokes marijuana. I was very happy that you shared the process of extraction so I could better understand. I may now even try CBD oil for my husband’s chronic back pain as nothing else has seemed to stick. However, I have found if he sticks to a stretching regimen he has much less exacerbation. Thanks so much for sharing your experience and research! You are very welcome 🙂 Yeah,unlike marijuana you don’t get the THC and the added “high” feeling. I’ve come across many older folks who were so used to using Marijuana to calm the nerves and release pressure from the back of their spines, but it doesn’t work nearly as well as CBD oil will. The extraction process is in my eyes the most important of everything. You have to know what product you’re using, and what chemicals go into the process. Something more pure and organic can be as safe as something a little less, but quality will be indicative of healing much better and easier. There are 4 test I preach about , exercise, healing foods, cognitive behavior, and natural remedies…so sticking to a stretching regimen is the #1 key place to start. Food will help decrease inflammation, and his behaviors will change accordingly mentally, and so forth will come the best way to consume treatments through natural remedies. I have a step -by-step process that I think will be very helpful if he chooses to continue with stretching. You can always let me know or check out our remove back pain system here. Thank you for sharing with me! You know what is odd is a I took some CBD oil a couple of weeks ago just to see what it was like. Mostly, to see if I noticed anything from daily aches and pains. The first day I took it I took 16 mg and within 45 minutes I felt relaxed. However, the next two days I took 8 mg each day and didn’t notice anything at all. I used Green Roads. I am not sure if they are any good. Have you ever heard of them? 16mg is around what you want to take, so I can see why that would have worked very well as you described. Everyone has a different level of dosage intake and you needed obviously more than less. I usually stay between the 10-20 range as that’s the standard, and even as much as 25mg depending on the type of CBD vendor. I’ve never tried their product, but I am familiar with them. It doesn’t really surprise me that you had little effect with a smaller dosage, as just 4-5mg I’d all it takes to make a difference in feeling it or not. That’s interesting though. Very informative article. I am a CBD user sonce I have the chronic lower back pain. My back pain is usually severe and you are on point that the OTC pain killer do not really take the pain away completely. So i did my own research and found the benefits of the CBD oil that you mentioned. They are great! I love the tincture, they are so easy to use and there is no taste as well. Magically my back pain goes away almost completely and I love that there is no side effects. I truly think that we all should take this instead of the OTC pain medications. It would be great if they can lower down the price. Oh well as for now you have only one body right so I am just gonna put only good stuff in my body. Thank you for sharing the alternative option for us! Oh are you? You definitely know what it’s all about then, and how awesome it help benefit you and anyone. Nope, the OTC drugs never do, they might feel like it but they just work good at masking your pain and causing an addiction to surface. The tincture is great and east to work with, I use them right now from a couple distributors. Exactly, no side effects, and works like a charm. 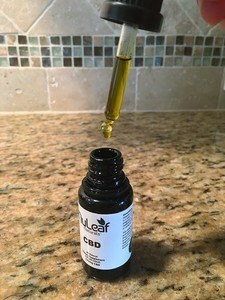 The first time I ever had CBd oil I was surprised how well it helped bring my symptoms down and let me enjoy my afternoon activities that day without any problem. A life saver! Alternative remedies are always better, I always emphasize and I talk about that in my site a lot. Yeah, they are expensive but that’s what you pay for if you want premium and top quality entering your body. Anything organic is pricy, but it’s well worth it in the end, especially when we are talking about pain. Thank you! Many years ago when I was in my twenties my wife had some major surgeries on her back which resulted in her having some serious back pains. Back then we would indulge and smoke a little pot. In turn that would help her pain for at least 3 days. We quit smoking pot shortly after that but the pains have never gone away. However now we have decided to try CBD oil and hope it helps. We first just have to be sure it is totally legal where we are. This was one of the best articles I have ever read on this subject. Thank you. I’m sorry to hear about that happening post surgery, but that’s always a common thing. I’m really glad that it lasted for 3 days, that’s actually a good amount of time for THC connection to pain. 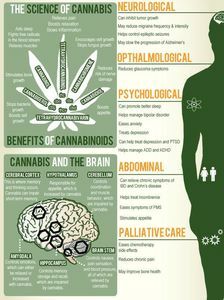 Most people wouldn’t connect pot to helping pain like CBDs but it does actually bring down the pain decently enough. Well the big reason for the pain not going away is because there’s more than por could do, it’s the root of the cause inflammation and things like posture and muscle imbalances that need the proper addressing. But sometimes that’s easier said than done. Where are you located? CBd oil will help block pain signals, its an all around great neuropathic(mind) stimulant. For anyone with herniated discs, thinning disc, bulging disc, post surgeries, and everything chronic related, it will reduce tension and stress while letting you concentrate and focus. I really appreciate that Dale! I think this is great. I know for a fact that many people suffer with back pain be it due to poor posture in general or poor posture when lifting things. I think that natural solutions like CBD oil are great because of their ability to get you pain relief, while also having minimal or no side effects. Similarly to how eating vegetables gets you the right minerals and nutrients, I think that herbal solutions created directly from plants rather than the chemically designed alternatives are much healthier for you. I like the fact that there is no THC meaning you won’t get high. That means you can use this oil at any time to ease your pain. I also think that it is great that it is non addictive like opioids because that addiction can become a worse problem than the pain. I think CBD is great for anybody thinking about giving it a try. You are right on point to start. Posture dominates every aspect of our lives, and once that gives out, unfortunately every other mechanism starts to reshape in and outside our body. You get more inflammation because the natural curve of the spine is tweaked, and the bottom trunk of your lower back muscles like hamstrings suffer and you get an imbalance. These are many reasons for chronic lower back pain that cause a severe headache and never pain sent to the brain. CBd oil will help combat these pain signals unlike opioids and other harmful less invasive drugs. Exactly! No side effects or very very minimal. No addiction, and can ease your pain without the effects of its counterpart THC, you definitely can not go wrong. I’m happy I can help those who have trouble figuring out the right neuropathy pain relief, and those that need to get away from opioid use. Thank you! Thanks for your research and information in this article. Back pain is common nowadays. My friends, collogues and some of my relatives suffers in serious backpain. I will bookmark your page for helpful tips in this article. However, I am not familiar with CVD or canabid oil. I think this is not available everywhere and not permitted to use as a drug. But if there is no serious issue of using this, I may suggest to my fellow person. Oh did you? I’m glad you are aware of it more now. I wanted to make my article as comprehensive as possible, and really just poured all my knowledge on out there so you have no doubt what it is all about for back pain. I’m happy that you are apprehensive about it, I would be too if I didn’t know much but kept hearing about it. Once you can get past the fact that what everyone says is true, it’s only a matter of using the proper dosages, and with a little trial and experiment, you will be well on your way. If you want to know more about cbd and where it comes from, check my hemp article out here. Thank you for sharing your thoughts with me my friend. Let me know if there’s anything more I can do to help.